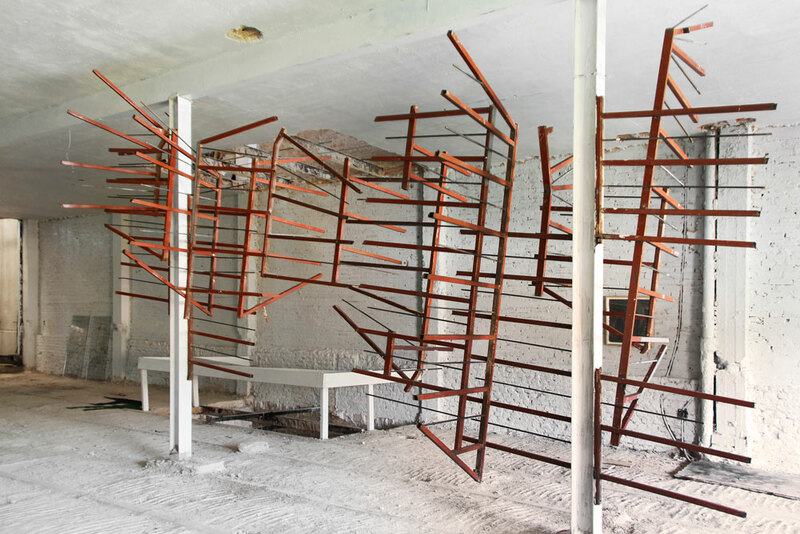 fig 18 trophies and orphans, 2017. found steel stair railing, approximately 4 x 6 x 2 meters. 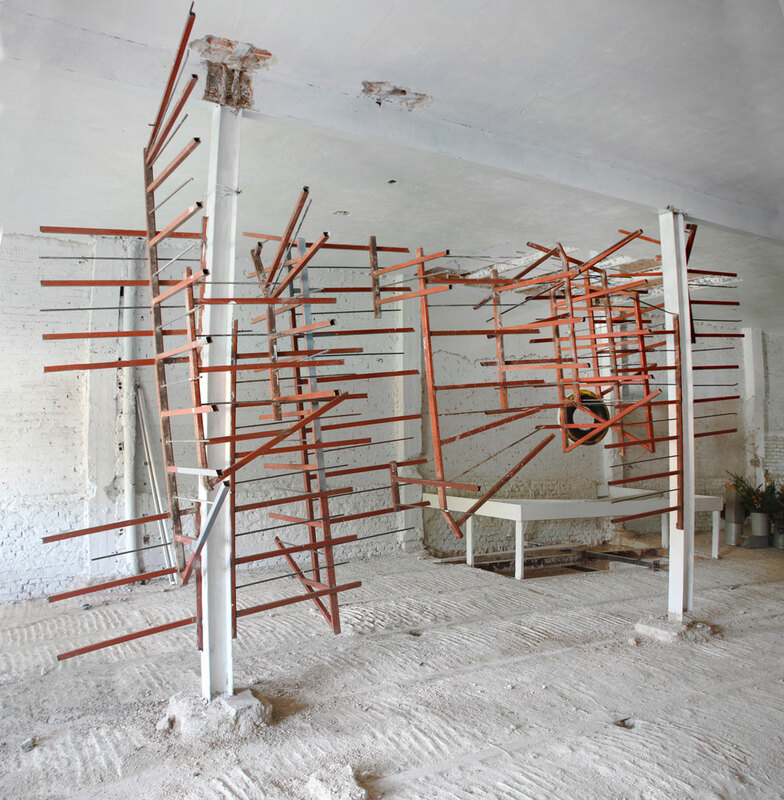 This site-specific structure was installed in a building under construction for Guadalajara 90210, in a gentrifying neighborhood in Guadalajara, Mexico. It is made of a steel stair rail, a remnant from the demolition, reconfigured and welded onto columns so it floats above the floor. The title was taken from an essay, “Trophies and Orphans: The Use of Spolia Columns in Ancient Churches” by Dale Kinney in Volume 29 of The Institute of Sacred Architecture, a journal dedicated to church design. 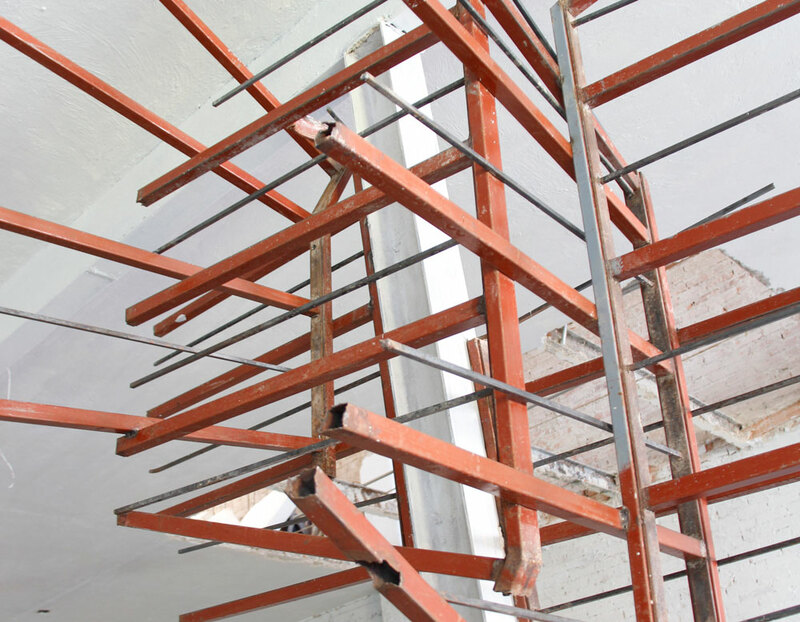 The work deals with the archeological term “spolia”, a reclaimed architectural fragment incorporated into a new structure, and considers if the contemporary implications are the same in a modern development. 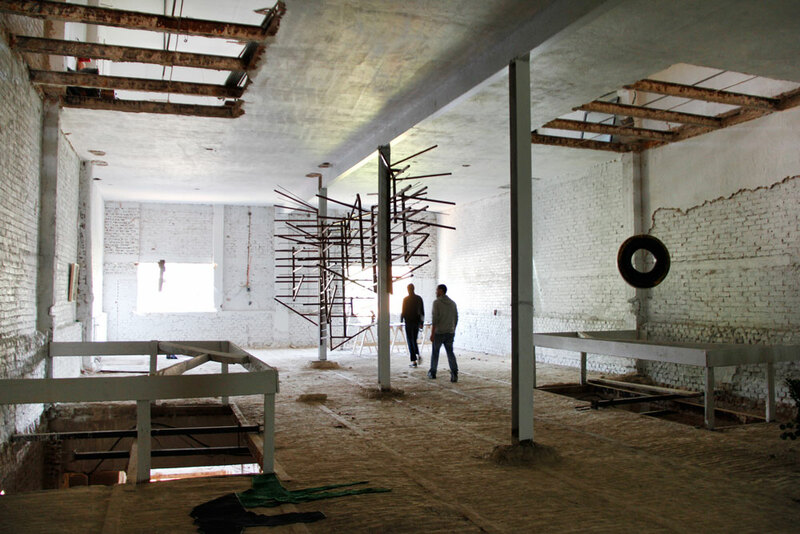 The installation engages with the repurposing of the existing historical inheritance of a space in flux.